The value of being a member of a fraternal organization is derived from assisting a brother in his distress, supporting him in his virtuous and successful undertakings, praying for his welfare, keeping inviolate his secrets and vindicating his reputation as well in his absence as in his presence. . The purpose of Masonry is to unite together groups of good men and to speculate on the moral teachings of Freemasonry. The fellowship, brotherhood and genuine affection among the members is a natural result of this close association and mutual interest. The importance of Masonry can be measured by how much time we are willing to invest in its activities. The more time you give to it, the more you reveal its importance and value to you. Many Brothers are hardworking and mission oriented. Over the years, the system has evolved and been refined, but has not essentially changed. All Masons obligate themselves to help, aid and assist the poor, the distressed, the widows and orphans. It shares the common bonds of all mankind and seeks to unite men of every race, color, sect and opinion. Friendship, morality, and brotherly love are the hallmarks of our relationships which is the corner stone of a lasting fraternal organization. Masonry helps one to set very high moral and ethical standards that support one’s beliefs and duties to mankind. Through masonic teachings, good men practice love and charity. As a fraternity we spend millions of dollars to assist and help others without expecting any return. One’s meager assets may not be sufficient to help others, but combined we become strong and can help many! General Albert Pike once said that our duty is “to labor for the benefits of society, our country and humanity”. We, here at San Jose Scottish Rite do that constantly. Our clinic provides “diagnostic evaluation and treatment of speech and language disorders as well as learning disabilities for many children. Today there are 135 Scottish Rite Clinics, Centers, and special programs for children and therapists located throughout the U.S.” We have also participated in public school related activities, and our Almoner has provided for brethren who were in need. 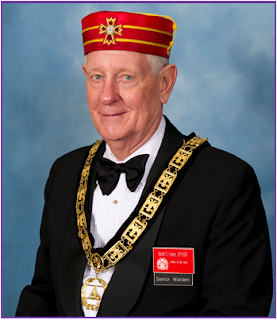 Be proud that you are a member of San Jose Scottish Rite. Working as a team produces the best results for all of the individuals!